I have loved the Shattered Hearts series by Cassia Leo for all the emotion, the turmoil and the romance it bestowed us readers. 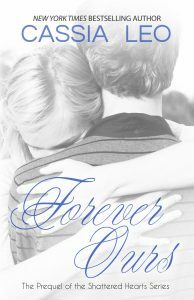 This was a story full of heartache, but also full of hope and joy, and now, with Forever Ours, we get to see how it all began with Claire and Chris! Expected release date is April 2014. 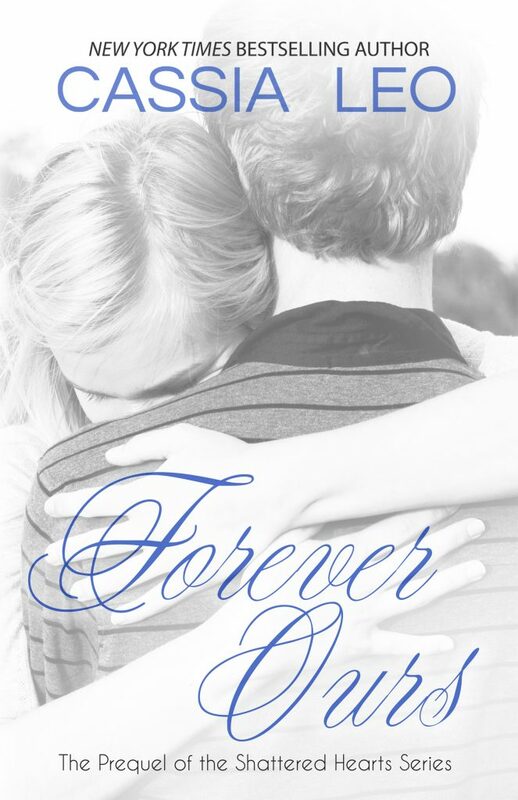 Forever Ours is a prequel, but can be read as a standalone book. There are moments in life that you know will be burned into your memory forever. Chris calls these “movie screen moments” — where everything slows down and you know that something important is about to happen that will change the course of the story. He says that the best songs are written about movie screen moments. I don’t know if this is true. All I know is that this is one of those moments. I can feel it in the air. And I know that when I look back, I’ll remember everything about this moment in time; the smells, the tastes, the sounds, and the touch. The touch. Chris and I are both sitting on the carpet with our backs leaned against the sofa, our fingers woven together as MTV plays in the background. This is something we’ve done every day for the past six weeks, ever since summer break began. As soon as Jackie leaves for work in the morning, we both get up and have breakfast together. He usually makes me a bowl of cereal or I make us both some scrambled eggs. Then we hang out in the living room for a few hours until his friends come over. Sometimes, Chris plays his guitar for me. Sometimes, we sit here and pretend to watch MTV, holding hands while Mr. Miyagi lays out across both of our laps, begging to be petted. Well, I don’t know if Chris is pretending to watch MTV, but I know I am. All I can seem to think about when I’m near Chris is whether or not this will last or if he will be just another person I have to lose. But this doesn’t stop me from enjoying these hours spent together. I’ve never been happier in all my life. Not even when my mom was alive. I’ll admit. I was sort of hoping today would be different then all the other mornings Chris and I have hung out. Not that I don’t like this small moment of closeness we share every day. But today’s my sixteenth birthday. I guess I figured that would make today even more special for us. I was kind of hoping I might get my first kiss. My heart sinks a little. Chris knows that Tristan and I don’t get along very well. He hasn’t even wished me a happy birthday and now he’s leaving to hang out with Tristan. My shoulders slump as I turn toward Chris’s Shiba Inu where he’s lounging on the sofa. Chris got his motorcycle license the week after he turned sixteen less than three months ago. He’s been trying to get me to ride with him on his crappy racing bike ever since the first time I let him hold my hand. I stare into his eyes for a moment and he tilts his head. His brown hair always looks calculatedly messy, the way it’s just long enough to cover his ears yet still sticks out in all the right places. His skin is so smooth; I often find myself wishing I could press my lips to his cheek just to feel the softness of his skin. And don’t even get me started on the metal stud in his tongue. The way he plays with it when he’s tuning his guitar gives me butterflies. I don’t know what Chris sees in me other than the way my hand seems to fit so perfectly in his. I stare at his lips as he says these words and that’s when it happens. This is that moment; the moment where everything slows down and nothing is ever the same. Click on cover images to purchase available books through Amazon. 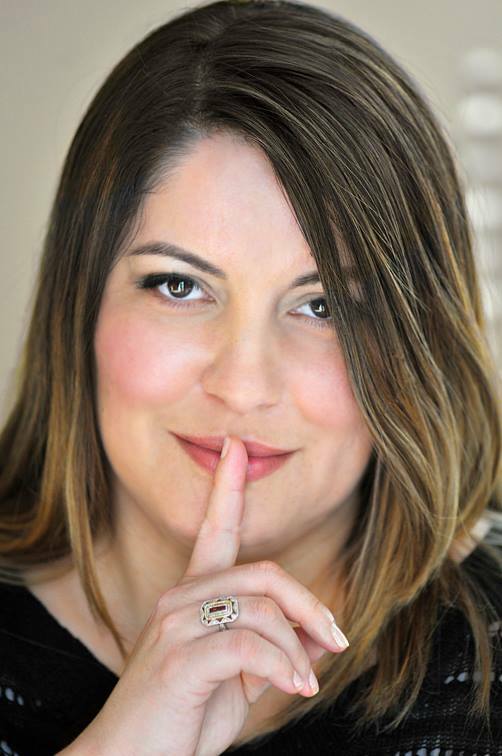 New York Times and USA Today bestselling author Cassia Leo grew up in California and has lived in three different countries. She loves to travel and her dream is to one day score a record deal based on her awesome shower singing skills. 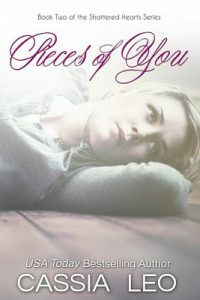 She is the author of the Shattered Hearts series (Relentless, Pieces of You, Bring Me Home) and the Luke and Chase series.